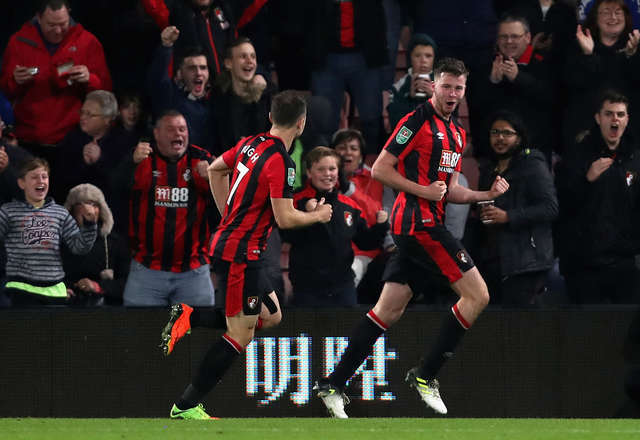 Three second half goals ensure AFC Bournemouth are in the Carabao Cup quarter finals after a home win over Middlesbrough. Academy graduate Jack Simpson scored on his first club start with a smart close-range volley just past the interval, the opener cancelled out by Boro winger Marcus Tavernier soon after. Callum Wilson, in his first match of the season, restored the Bournemouth lead on 75 minutes with a cool penalty, marking his return in typical goalscoring style. The Cherries striker then turned provider to set up substitute Benik Afobe for the settler. 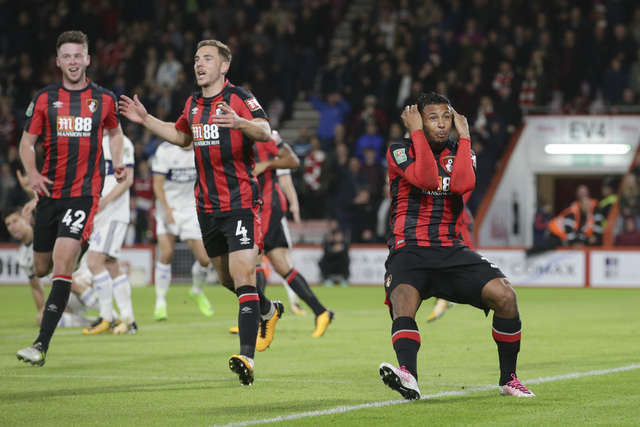 Wilson was the name to jump off the team sheet, the striker starting his first match for the Cherries since suffering a serious knee injury back in February. In the backline centre-back Simpson was also primed for a big night, lining up for the club for the first time. Immediately into the action, Wilson was almost played through by Adam Smith's threaded ball, though there was just too much weight on the pass. Lys Mousset then thought he'd scored his first Cherries goal, peeling away after heading home a freekick; only to see the assistant's flag raised for for a tight but correct offside call. The home aggression continued and Simpson came close to marking his first start with a goal, heading a corner wide. With the rain starting to wash down at Vitality Stadium, the screw was tightening as the hosts again went close. Marc Pugh's left-wing swivel led to a cross that dropped to Wilson, but the striker's skimming shot sped inches wide. Bournemouth again threatened as Charlie Daniels' bouncing shot was parried by 'keeper Dimi Konstantopoulos - with the unbalanced Ryan Fraser directing an effort towards, but agonisingly wide of, the unguarded goal. With a rare attack, Boro swung a ball into the box, headed clear as far as Adam Clayton who ploughed a shot low but wide of the target. Connor Roberts soon struck another long ranger for Middlesbrough blocked away by Artur Boruc, the dangerous Adama Traore then flashing wide from 20 yards. A half that for long spells had seemed likely to end in the hosts' favour ending on a more even, competitive but goalless keel, despite Wilson's late angled shot being saved. Four minutes into the second half and debutant Simpson was the unlikely man to get the scoring started. Fraser's cross dropped towards the 20-year-old, who despite having his shirt pulled by a defender was able to keep his footing and volley home a composed finish. On 56 minutes the game there was a crucial paradigm shift, Fraser appearing to be fouled in the box as the Cherries attacked, the decision not given and allowing Boro to break and equalise. Traore led the counter and with Tavernier in space to his left the youngster was fed, the 18-year-old burying a low shot past Boruc to make it one a piece. Wilson was also soon down in the area, referee Simon Hooper again waving away the home side's penalty claims. Tavernier's volley was held by Boruc, the game now full of life as both teams hunted for the game's next goal. With 15 minutes to go the Cherries were back in front, Wilson wheeling away with his trademark salute after netting from the spot. Simpson was again in the thick of the action, being tugged back by Dael Fry as Boro defended a corner. Up stepped the returning Wilson to pass the ball into the corner of the net from 12 yards. The home side looking increasingly comfortable, Wilson spun his man inside the final ten minutes and squared for Afobe to score his first of the season, sliding in six yards from goal. The home side's third strike knocked the life out of Boro's resistance and confirmed Bournemouth's place in the draw for the Carabao Cup quarter-finals later this week.